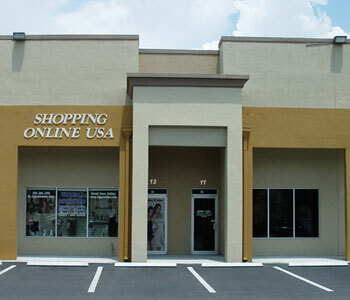 Online Directorio, LLC DBA Shopping Online USA, is a registered company in the State of Florida, since 2001. Our company is a web design publicity firm specializing in Online Advertising, Media Magazine, Business Directories, Graphic Design, & an extensive network of online stores which offers items such as Technology, Intimate Apparel, Jeans, Mexican Clothing, Hats & Boots. Fantasy Jewelry and most importantly: Colombian and Brazilian Girdles made of excellent quality. We offer professionalism, honesty, and quality before a price. Online Directorio, LLC DBA Shopping Online USA, es una Empresa formada desde el a�o 2001, especiliazada en Publicidad en el Internet, Revistas, Directorios y en formar una gran cadena de Tiendas Online en las cuales se venden articulos de Tecnologia, Ropa Intima, Jeans, Ropa Mexicana, Sombreros y botas Mexicana y Fantasias Italianas lo mas importante Fajas Colombianas y Brasileras confesionadas con textil de alta calidad. Ofrecemos profesionalismo, honestidad y buena calidad con precios bajos. Job Directory USA is a unique online search directory offering a variety of information on job seekers and job opening listings. Online Directorio, LLC decided to build this website because it will benefit both Business owners and un-employed prospects that will provide a better future to the economy of this country. Job Directory USA is a property of Online Directorio, LLC DBA Shopping Online USA an internet publicity firm located in Miami, Florida. � 2004 JOBDIRECTORYusa.com , all rights reserved.